Interested in becoming a sponsor? Please send us a message and we will happily contact you to discuss sponsorship opportunities! 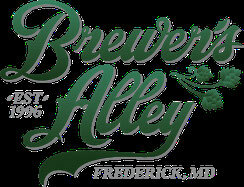 Brewer's Alley Restaurant & Brewery is Frederick's first brewpub located in the heart of downtown Frederick. Brewer’s Alley is proud to continue the long history of beer making in a town known for its deep appreciation of fine fermented spirits.With a number of spectacular award-winning house beers at their distinctive bar as well as some of the Finest Culinary Creations, Brewer's Alley is favorite destination for locals and worldwide travelers alike. Frederick County, Maryland is less than one hour from Washington, D.C., Baltimore, and nearby Gettysburg, Antietam, and Harpers Ferry. Let us be your guide as you shop, dine and discover a Great American Main Street. Scenic byways lead to wineries, orchards, and Civil War heritage that our county has to offer. Graphcom is a full-service marketing firm of more than 100 professional, energetic, creative pros. Not only are they fun to work with, but they also have the expertise to help you reach your marketing goals. Graphcom’s full-service capabilities bolster marketing campaigns from start to finish, or can be called on during any phase to help with just the pieces you need. Beachley's Forge/ Tim Beachley - artist blacksmith, specializes in hand forged ironwork. Work includes, but is not limited to hardware, furniture, railings and small gates, fireplace accessories, and sculptural pieces. The Bicycle Escape offers any cyclist - male or female, pro-racer or young child - an honest, professional and organized resource for bicycle sales and service. Summers Farm Adventure offers a variety of family-fun farm activities! Fall farm attractions include cornfield maze, hay rides, pig races, jumping pillow, giant hay slides, pedal-cart derby, Little Farmersville, pumpkin train, concessions and more! Showtime Sound LLC is an all in one solution provider for tours, corporate events, and event production in Washington., D.C. and surrounding areas. The Trail House is your source for quality outdoor equipment and apparel in downtown, historic Frederick, MD.